Dalian Wanda Group and its joint venture partner Ridong, have chosen Canada's Brookfield Multiplex to build the $1 billion Jewel resort on the Gold Coast, according to The Australian Financial Review. Brookfield Multiplex was selected over rival consortiums comprising Grocon with China State Construction No.8, and CIMIC with China State Construction No. 1. Wanda Ridong's Gold Coast development managing director Weimin Xu told The Australian Financial Review there had been strong competition for the contract. "Jewel really is a game-changer and has attracted an unprecedented level of interest within the construction industry," Mr Weimin said. "Jewel is an architectural icon in the making. As a development worth more than $1 billion, its construction is a strong vote of confidence in the Gold Coast and Australia. 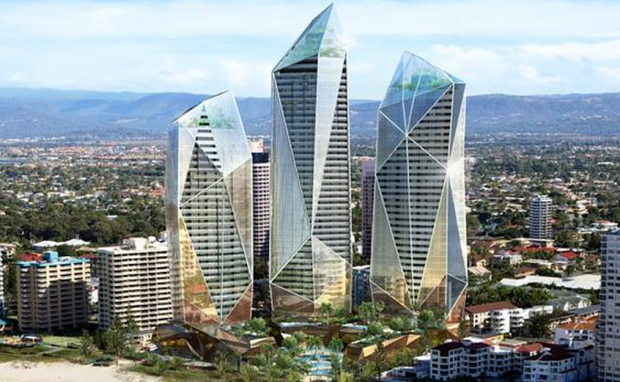 "Located in Broadbeach, the Jewel project will comprise three towers including a six-star hotel with 171 suites and 512 one, two and three-bedroom luxury apartments.